You never know what you will find while walking in the woods. 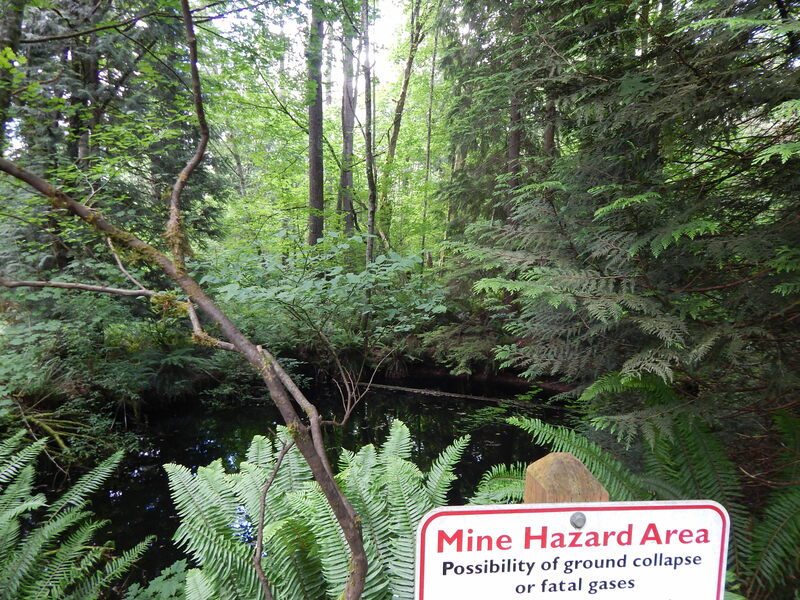 On my return adventure to Cougar Mountain Park I took a trail to look at what are called Cave Holes. It was a pretty long way to get to them and then an even longer set of trails to get to Coal Creek waterfall. Not long after I got through the cave hole area I saw a bird land high up on a tree. 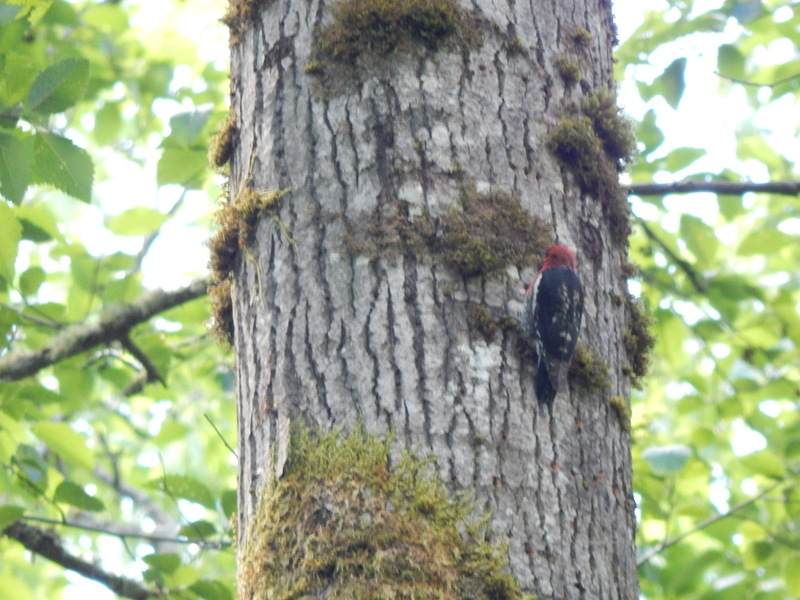 To my delight it was a red-headed woodpecker. He or she was just pecking away. Little did I know he was a red breasted sapsucker. 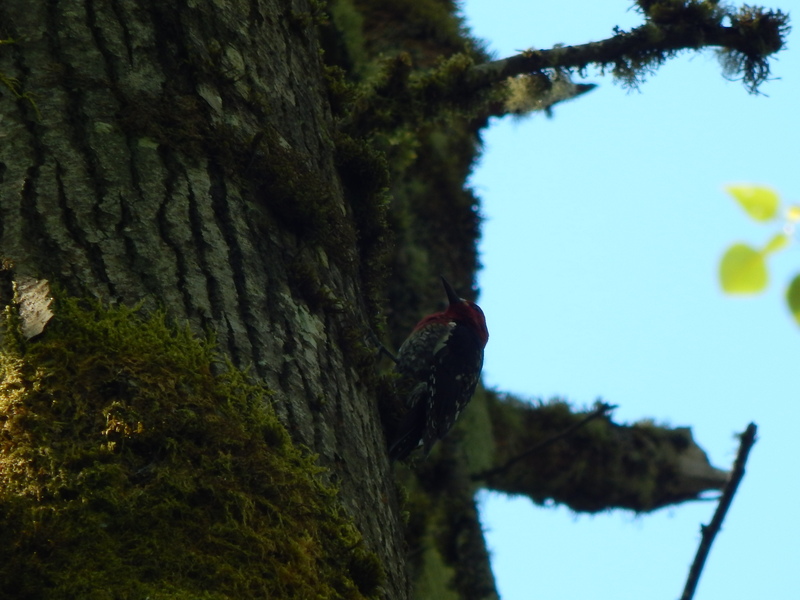 For me this was my first sapsucker sighting. After all these years of rambling around I had never clearly identified one. Even cooler he was digging for sap not bugs as one would assume a normal woodpecker is doing. Learned a new thing!